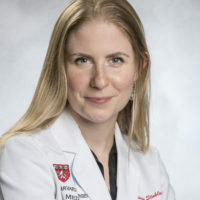 Hanni Stoklosa, MD, MPH, Executive Director of HEAL Trafficking, is an emergency physician at Brigham and Women’s Hospital with appointments at Harvard Medical School, Harvard T.H. Chan School of Public Health, and the Harvard Humanitarian Initiative. Dr. Stoklosa is a well-recognized investigator, advocate, and speaker focusing on the public health of trafficking survivors in the US and internationally. She has advised the U.S. Department of Health and Human Services, Department of Labor, and National Academy of Medicine on issues of human trafficking and testified as an expert witness multiple times before the US Congress. Moreover, she has conducted research on trafficking and vulnerable populations in a diversity of settings including Australia, China, Egypt, Guatemala, India, Liberia, Nepal, Kazakhstan, the Philippines, South Sudan, Taiwan, and Thailand.